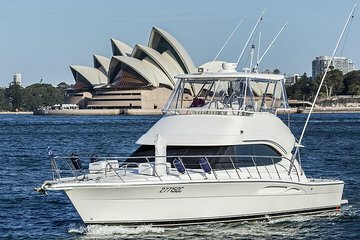 Offrez à vos proches un déjeuner progressif qui voyagera en yacht dans les parties les plus pittoresques du port de Sydney. Bénéficiez d'une vue imprenable sur l'opéra de Sydney et le pont du port de Sydney lorsque vous vous rendez à Watsons Bay pour votre parcours apéritif dans un restaurant classique au bord de l'eau. Après Middle Head, continuez vers Balmoral où vous vous arrêterez dans votre deuxième restaurant au bord de l'eau pour votre plat principal. Retournez à votre bateau pour le dessert et le fromage, puis prenez le temps de nager, de faire du kayak ou de faire du stand-up paddle. Vin mousseux et autres boissons sont inclus. My wife and I had an outstanding experience on the lunch cruise. It was far better than either one of us had imagined... from the staff in the office to the crew on the ship btw, David and CJ were great!, we would highly recommend this adventure. Great restaurants, too! What a great way to see some spectacular scenery in Sydney! Beyond expectations. The boat is amazing, the crew was professional and really went out of their way to make sure that we had a fantastic time. Honestly one of the best experiences I've ever had on any vacation, ever. Excellent Day on the Harbour! This was a fantastic day, it was a private tour for the two of us we did not know this on booking so we were really pleased about that. The only thing to be aware of, it could be difficult to get on and off the boat on the stops, as the wharves move up and down. If they could improve this somehow it would be excellent for everyone. We will absolutely do this again!